Welcome to the GPP3 FAQ page! The following questions have been submitted from your colleagues through various mechanisms, including the [email protected] mailbox. The answers are developed via a rigorous drafting and review process by members of the GPP3 Website Committee and GPP3 Steering Committee. The answers have been tied to individual section(s) of GPP3, noted parenthetically at the end of each question. We hope these FAQs and responses are helpful to you in furthering your understanding and implementation of GPP3. Do you have a question about GPP3? Submit your question at [email protected]! A. Commercial (also referred to as marketing) functions/individuals should not direct/lead the publication planning process. Understanding that commercial colleagues should have a very limited involvement in the publication process, they can provide input into the broad concepts of the publication planning process. For example, commercial colleagues may provide valuable input about congresses that could be considered for abstract submissions or share insights derived from market research on specific medical educational gaps that might be addressed through the peer-reviewed literature. However, commercial colleagues should not request specific manuscript topics nor should they propose specific authors to invite to participate in publications development. A. Encore abstracts can serve to communicate the same clinical data to different audiences for whom it is relevant, including those who work in different geographic or scientific areas from those originally targeted. For example, attendees at a conference in Asia might not have been able to attend a conference held in the USA, so presenting an encore abstract to the Asian conference allows them to directly access the data and interact with the presenter, which is one of the strong points of conference presentations (especially posters). Similarly, attendees of a conference on Gerontology might be interested in data generated from trials on infectious diseases that disproportionately affect the elderly (eg, influenza), which might otherwise be presented only at an infectious disease conference. The submission of encore abstracts is acceptable only if all authors agree, the congress permits encore presentations, and copyright is respected. Some congresses may require authors to notify organizers that the abstract submission is an “encore” of one that was previously presented, and for which the copyright is held by the congress where it was first presented. The original organization may also require that an acknowledgement be published with the encore abstract that indicates that the abstract was reused with permission of Congress X, was previously presented at (year) Congress X, and all rights are reserved. A. Whether or not the individual who performed and interpreted the additional analyses qualifies for authorship is a matter of judgment regarding how the contribution meets the authorship criteria applied. If the individual performing the additional analyses fulfills the same criteria applied to the other authors of the publication (ie, substantial contribution to conception or design of work, or acquisition, analysis or interpretation of data), then that individual may qualify for authorship. The author team needs to evaluate whether the additional analyses are instrumental to the interpretation and/or reporting of the clinical trial data and critical to the publication itself. If ICMJE criteria are used, that individual must not only fulfill criteria #1 (substantial contribution to conception or design of work, or acquisition, analysis or interpretation of data), but also the other three (including drafting/revising critically, final approval of submitted version, and agreement to be accountable for all aspects of the work) in order to qualify for authorship. It is always appropriate to acknowledge individuals for their contributions which don’t otherwise meet all authorship criteria. The team might also have to consider whether the person who performed the analysis in the CSR is an author. If not, then the additional analyses may not be sufficient for authorship. A. GPP3 recommends that results from all clinical trials (including noninterventional studies involving human participants) should be published, ideally in a peer-reviewed journal, or otherwise made public. Research results should be submitted for publication in a suitable peer-reviewed journal whether the findings are positive, negative, or inconclusive; and whether the intervention is licensed, discontinued, or withdrawn from the market. Some journals have policies of accepting all scientifically sound and ethical research, regardless of the likely level of interest. Such journals should therefore be considered following rejection by more selective journals. GPP3 advises that if a study yields data of limited scientific or clinical value or in the case of multiple journal rejections, posting results on a public Web site, trial registry site (eg, ClinicalTrials.gov or the European Clinical Trials Database [EudraCT]), or data repository is an acceptable option. A. The intent of GPP3 is to provide guidelines for the dissemination of data from industry-sponsored studies regardless of format and channel. This includes presentations, defined as abstracts, posters, and oral presentation slides. The GPP3 guidelines should be applied to all such materials to the extent possible, especially regarding authorship, and in the final material within the constraints often imposed by the congress itself. For example, the number of slides in a presentation is often strictly limited, to as few as five in some cases. In those circumstances priority should be given to the data, but at a minimum the trial identifier and disclosures should be included. Posters should also include such information, but again, not at the expense of the data. Including disclosure of the funding source is in alignment with the recommendation of the CONSORT for Abstracts. The GPP3 states “if writers do not meet authorship criteria, their contribution should be disclosed (e.g., as a nonauthor contributor in the acknowledgment section).” Based on this information, it is recommended that writing and editorial assistance along with who is providing payment for this support be included in the Acknowledgments section rather than in the Disclosures section. However, as noted in the GPP3, “all specific journal or congress requirements for acknowledgment and disclosure should be followed.” When in doubt, always disclose more rather than less. A. GPP3 recommends specific timing for publication of data from clinical studies for licensed products and investigational drugs, and considers a product licensed if it is approved for use and commercially available in at least one country. For example, a product that is approved for use in the United States but not yet in Japan would be considered a licensed product with respect to the recommended timing for publication (ideally submission within 12 months of study completion). This definition of a licensed product is aligned with the Joint Position Statement on Disclosure of Clinical Trial Information via Clinical Trial Registries and Databases. A. It is important to ensure that contributors who have made substantive intellectual contributions to a publication are appropriately recognized as authors (www.icmje.org/icmje-recommendations.pdf). GPP3 recommends using the ICMJE authorship criteria, updated in 2013, to identify authors unless the target journal or congress has different requirements. In the ICMJE, it states “when a large multi-author group has conducted the work, the group ideally should decide who will be an author before the work is started and confirm who is an author before submitting the manuscript for publication” (www.icmje.org/icmje-recommendations.pdf). It is recognized that many individuals may be involved in the design and execution of clinical trials, but it is not feasible to offer the opportunity of authorship to all of them. GPP3 recommends that “priority should be given to the key contributors who have the necessary background to analyze or interpret the findings.” “Necessary background” could include attributes such as knowledge, skills, experience in therapy area, treatment, or in similar clinical trials. Those who will be authors should make important intellectual contributions to the publication and be able to take public accountability for all aspects of the publication. Non author contributors such as statisticians, medical writers, and research personnel who do not meet all four ICMJE authorship criteria should, with their permission, be listed in the acknowledgement section according to specific journal or congress guidelines. A. The GPP3 guideline does not cover marketing or advertising materials, which are regulated or accredited by specific national or regional authorities (GPP3 Introduction). Medical research should be published based on scientific and/or clinical merit and educational need, and not developed with the primary intention to support downstream commercial activities such as use in promotion. Publications should accurately state what is reported in the study report and not edited to reflect wording in the package insert. Commercial functions should neither direct publication planning or development nor be involved in publication review or approval (GPP3 Section 1.1). Any commercial/regulatory/legal review of an article for use in promotion should occur after an article is published, not before it is published. A. In general, the number of authors should be determined based on the ICMJE and GPP3 criteria for authorship in context of the target journal guidelines. These same criteria should be applied to both internal (authors who are employees of the sponsor) and external (authors who are not employees of the sponsor) authors. There should not be any predefined ratios or targets on the balance between internal and external authors. To some extent, the number of qualified authors will depend on the complexity of the research and of the publication itself. In general, it is unusual in biomedical research (with few exceptions) to have >10 authors who fulfill authorship criteria. A high number of authors may call into question whether all could have provided “substantial contribution.” Fewer authors are often preferable, with other contributors acknowledged (e.g., as non-author contributors or collaborators). When considering authorship, it is important to remember to check the journal guidelines, as some journals limit the number of authors allowed on a publication. It may be prudent to contact the journal if the number of authors meeting ICMJE criteria exceeds that recommended by the journal. A. Although GPP3 does not address this scenario directly, it does stipulate that authors who are considered key contributors should have access to the data. The principles in GPP3 are to protect the rights of authors who change employers after having already fulfilled most of the criteria required for authorship (e.g., design of studies, participation in data collection or analysis), and who then also intend to participate in the development and submission of the final paper. Although the individual author would have access to the data, the new employer would have no legal right to access the data, and the affected author of the study would have no obligation to provide data access to this company or institution (the author is obligated to uphold confidentiality agreements concerning the data). The author’s affiliation at the time the research was done should be listed on the article, with a note to indicate new contact details. A conversation on potential conflict of interest (COI) should be held at the time of new employment, so that, at least in principle, it is agreed that continued authorship is permitted by the new employer (and at a stage early enough to avoid adverse impact on the publication date). If it is a requirement stipulated in the internal company-employee policy, the author may be obligated to allow the new employer to see the final version of the manuscript before submission, as well as discuss how to fully disclose any potential conflicts of interest, (which may include the new employment). Based on the ICMJE recommendations and consultation with the GPP3 Website and Steering Committees, there is no pre-defined, preferred or required affiliation (sponsor employee or investigator) for the corresponding author. The corresponding author should be identified by the author group before writing begins (GPP3 Section 2.3.2), and should be based on the individual’s availability and willingness to be responsible for all of the administrative details that surround a journal submission and post-publication communication; the decision should be exclusive of the author’s place of employment. Often, the first author is the corresponding author; however, this is not a first-author requirement. Journal guidelines should be followed regarding journal submission and correspondence with the journal. 1. http://www.icmje.org/recommendations/browse/roles-and-responsibilities/defining-the-role-of-authors-and-contributors.html; accessed July 21, 2016. A. GPP3 recommends use of the ICMJE authorship criteria; ie, requiring that all authors meet all 4 ICMJE criteria. GPP3 provides an expanded explanation of ICMJE criterion 2, which addresses author review (“Drafting the article or revising it critically for important intellectual content”). According to GPP3, “The key is sustained intellectual contribution, the provision of substantial comment, and approval of the final version. Although preferred, it is not always feasible or necessary for authors to comment on every stage of manuscript development.” Thus although all authors are not required to comment on every draft of a manuscript, they are required to have provided substantial intellectual input and critical review and comment on at least one of the early drafts, the final draft prior to submission, and revised manuscripts that reflect substantial change from prior drafts. A. There is no specific template or guidance for the development of manuscripts that report the results of negative or equivocal studies. The manuscript should be written according to accepted guidelines based on the type of study regardless of outcome (eg, CONSORT for randomized clinical trials, STROBE for observational studies). When selecting a journal, it is important to identify one that is appropriate for the type and topic of the research, and that states in its author guidelines that it accepts manuscripts that report negative or equivocal trials. Selection of an appropriate journal may help facilitate publication. A presubmission inquiry may also be helpful to determine the journal’s level of interest. Prior to taking this step, the journal guidelines should be or the journal contacted regarding its interest in receiving such inquiries. Q. Are there recommendations on how to gain consensus from authors to target a lower-tier journal? A. GPP3 offers no specific guidance on this topic; however, there are some best practices that can be followed. When researching appropriate target journals, it is important to look at the type of study and ensure that it aligns with the focus of the journal. There should be careful assessment up front regarding the type, robustness, newness, and novelty of the data so that they align with the targeted journal(s). Ask authors to consider the following: have the potential journal(s) recently published on the same or a similar topic; are the data either too specialized or not specialized enough for its readership, how long is the lag time from submission to publication; and how do rejection rates compare. If the journal accepts presubmisson inquiries, that step should also be taken to determine the journal’s level of interest in the manuscript. All of these factors may impact the acceptance and publication of a manuscript. To aid selection and consensus building, it may be helpful to create a table to be used in discussions with the authors that would contain the relevant information on target journals under consideration—including the above—as well as the advantages/disadvantages (pro/con) of each potential target journal. Q. What is the ISMPP doing to educate people in academia regarding the authorship criteria? A. 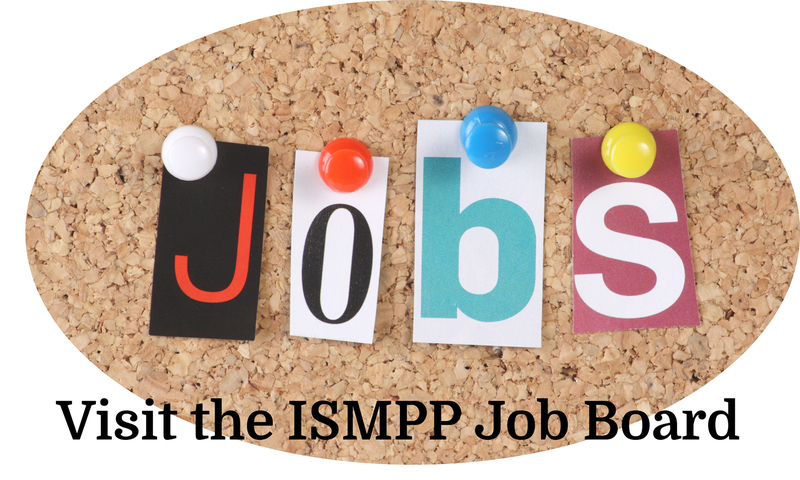 The ISMPP Advocacy and Outreach committee is currently developing a strategy and plan to advocate good publication practice to a range of priority stakeholders, including academic authors via their professional societies. It is anticipated that this will be launched from 4Q 2016. Q. Are there tools available to educate other stakeholders about GPP3, for example, authors who infrequently collaborate with industry? A.There are a variety of tools available on the ISMPP website, specifically on the GPP3 page (http://www.ismpp.org/gpp3), to educate those involved in publication development. These include a link to the GPP3 article in Annals of Internal Medicine, an editorial in International Journal of Clinical Practice, a frequently asked questions document, a PowerPoint presentation and a link to a You Tube presentation. A translation of GPP3 into Chinese language is also available. More additions are planned, including translation of GPP3 into Japanese language and a GPP3 checklist. Another useful source of information is the ‘Medical Publication Insights and Practices’ Initiative (MPIP), which has a 5-step authorship framework as well as authorship toolkit designed to help all authors across industry and academia and is consistent with GPP3 guidelines (http://www.mpip-initiative.org/). Q. How far should medical writers go in trying to get others to adhere to the guidelines? A. GPP3 places more emphasis than GPP2 on the role of the medical writer, working with the author(s) and sponsor(s), to ensure that good publication practices are followed. GPP3 also discusses how medical writers may enhance publication quality and reduce the risk of retractions. It is important that medical writers, whether agency-based or freelance, maintain good publication practices and encourage others who are involved in the publication to maintain good publication practices as well. Encouragingly, the findings in the Global Publication Survey (Wager et al, 2014) suggest that education by agency staff was often found to be successful when dealing with apparent compliance issues. However, if an author fails to respond to the medical writer’s recommendation, the issue should be escalated to the writer’s contact at the sponsor company. The key point is to not ignore inappropriate publication practice, but to educate and reinforce good practice.